Given that “fortune favors the bold”, the rebuilt Bon Accord nucleus facility is a bold move that will pay off big-time for the pork industry. This state of the art, 1200 sow farrow-to-finish operation in Ituna, Saskatchewan, Canada will be equipped with the latest innovations in housing and automatic data recording equipment. The new facility is part of Hypor’s commitment to enlarging its global nucleus population and reinvesting in production assets. 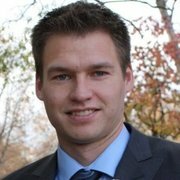 This rebuild signifies continued growth for Hypor and the market. We see a lot of opportunity in North America and need to continually upgrade to accommodate the demand. Our customer base is growing, and we are growing as well. 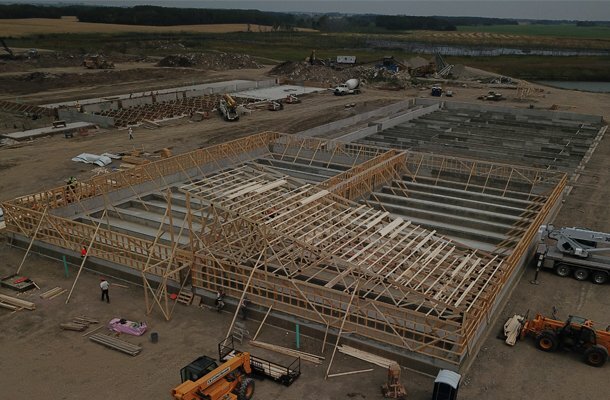 The new structure is twice the size of the barn it replaces, so it can capture more data to help customers select the best animals for their business. As well, with the global trend moving towards group housing, the facility sports the latest technologies and innovations to prepare for the future. The focus on group housing at Bon Accord also ties in perfectly with Hypor’s pledge to support Total System Profitability (TSP) for all its clients. Today, a big part of TSP is not just having sows that last a long time, but ones that will survive and thrive in group housing and other rearing systems. This new facility will increase our knowledge on how our animals function in a group housing setting and, in the process, allow us to improve even more on their longevity. TSP is also about gathering as much information as possible to inform your decisions, and the Bon Accord operation helps make that happen. While Hypor has upgraded much of its infrastructure over the years, building a brand new facility is a huge advantage for meeting present demands of industry and preparing for the future. 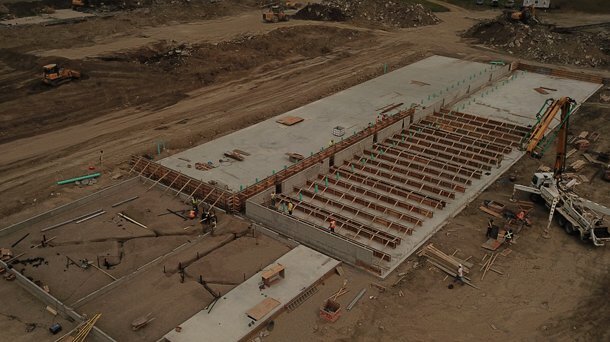 Apart from all the concrete benefits of this new facility for the company and the pork industry as a whole, the project also sends a strong message about where Hypor is coming from and where it’s going. When that new investment involves a comprehensive facility that is bigger, bolder and better than what came before it, there’s a lot for Hypor clients to get excited about.